Our flexible opening hours and expert diagnostic skills mean we can often fix your problem whilst you wait. We pride ourselves on our ability to work quickly, without a fuss, and at a price that will keep you coming back for more. With special offers and discounts for repeat customers, we know that the first time won't be the last time - and we'll be waiting with a smile to help - every time. 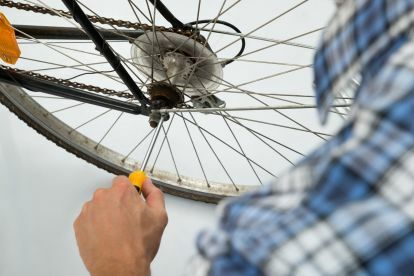 We know that some bike shops can charge the earth for simple adjustments or services that take just a few moments. We don't work like that. 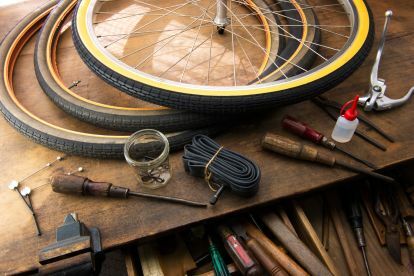 Instead, we'll quickly and expertly assess what's needed and get the work done swiftly, and without charging you a price that has you telling us to 'get on our bikes'! Our passion and dedication always shines through, and we know you'll be thrilled with our personal, friendly service. Whether your use your bike daily for the commute, or wait for the weekends to speed down the hills in the countryside and forget the stresses of the week, we’re here to keep you 100% roadworthy. At Belvedere Bmx, our team of enthusiasts are on-hand to help you pump your tyres, oil your gears, adjust your saddle or perform more complex repairs. What makes us special is our passion - we're all committed riders, so we know what you need. Please note that Belvedere BMX may not be able to honour booking requests made.